"We have an opportunity with our network to provide significantly higher speeds," Virgin Media's chief executive Neil Berkett told BBC News. Mr Berkett said its fibre to the cabinet (FTTC) network was capable of supporting up to 200Mbps but roll out of higher speeds was a "function of timing". He said: "When we look at the market I don't see us getting the returns right now for 100 or 150Mbps. "As we work with application providers, and content providers... there will be a natural point where we upgrade from 10, 20 and 50Mbps to something more. "If BT were to meet the time frame they have suggested - of finishing by 2012 - I would see us as having much, much faster upstream speed, running at a minimum of 100Mbps downstream and possibly more. You can see a real opportunity there." Mr Berkett said he would be surprised if Virgin Media did not start the roll out of faster speeds next year. BT has said it will deploy FTTC technology at 29 exchanges across the UK in the coming 9 to 12 months. The network will offer speeds of up to 40Mbps - and potentially 60Mbps - to 500,000 homes and businesses. Areas of Belfast, Cardiff, Edinburgh, Glasgow, London and Greater Manchester will be able to access the fibre network, which will be opened up on a wholesale basis to Internet Service Providers (ISPs) who can then offer various broadband packages to customers. Virgin Media says its network reaches half of all homes in the UK. The technology has a theoretical limit of 200Mbps downsteam speeds. Mr Berkett said the firm had not ruled out the possibility of opening its own network to other ISPs. He said: "We had this conversation with a bunch of investors recently. Our position is 'Let's prove the market'. "Wholesaling is not off our agenda but right now it is not a priority for us." He added: "Who knows, by the time BT have rolled out their next generation network we may be in position to explore wholesale." 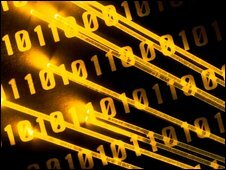 Should there be a multi-speed internet?